Delicious bread with Cinnamon flavour. Perfect for any time of the day. Have it with your tea for a comforting afternoon. Or try as a breakfast bun for extra energy on your day. But for the best experience warm it on a microwave on medium power for 30 seconds or at the preheated oven at 170 for 2 minutes. Storage: it can be frozen and used within 3 months. Or in the fridge for 5 days. Ingredients: Pastry: Water, white rice flour, brown rice flour, tapioca starch,, potato starch, golden linseed, cold cold pressed rapeseed oil, vegan spread:(sunflower oil* (50%), palm oil*--, water, coconut oil*, carrot juice*, sunflower lecithin, lemon juice*), raising agent: yeast, salt, vegetable fibre, cinnamon, unrefined sugar, xanthan gum. 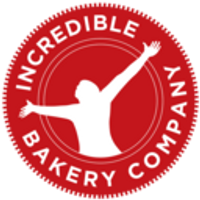 All products are made in the Incredible Bakery in Warkton which does not use any of the 14 common food allergens defined by EC regulations.